The horchata I’m familiar with is a Mexican rice drink flavored with cinnamon and really quite tasty. When a sample of Chila ‘Orchata arrived I was suprised to see it wasn’t rice based at all. Intriguing. Having done a bit more reading, thank you Wikipedia, I was a bit more educated and even more excited to sample. 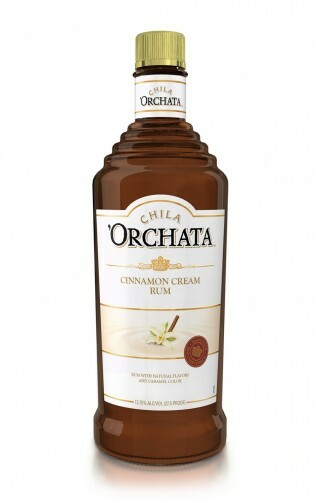 Chila ‘Orchata is a rum based, cream liqueur with a “sprinkle of exotic cinnamon”. I’d agree with that. The aroma speaks of fresh cream, rum and a light touch of cinnamon. The flavor follows suit but adds a light hint of vanilla, no doubt from the rum. Speaking of the rum, it is clearly present but not prominent. The cream truly tastes fresh and, well, creamy. The mouth feel is silky and slightly thick. The sweetness level is, expectedly, high, but not cloying. Though, it was a touch too sweet for my taste to drink straight. For me, the best mix is 1/3 spiced rum and 2/3 Chila ‘Orchata. The rum and spices work great with the cream and cinnamon and the rum cuts the sweetness just enough. Overall, a very good cream liqueur that I would drink on its own or mixed in something tasty. This is a great liqueur that, the more I contemplate, seems like it will be a great ingredient for warm, fall drinks. Think boozy hot chai, orchata spiced hot chocolate or simply a glass of Chila on the rocks. I know, not really warm, but still tasty, I promise. † The product reviewed here was provided to me as a free sample. If you’re wondering what that means check out my sample policy. I would have thought it was like horchata, too. But the flavor sounds like horchata. And damn tasty. Can’t wait to try it!